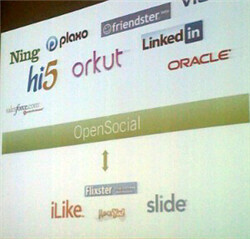 Ever since the success of 37Signals’ BaseCamp, a focus has been put on task management and collaboration. 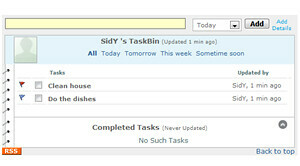 TaskBin is a new service by Pune, India-based MangoSpring which aims to make group task management easy. The concept of TaskBin is to make allocating tasks in groups to multiple members really easy. Essentially, every member has their own ‘TaskBin’ which is a combination of self-allocated and group-assigned tasks in the form of to-do items. TaskBin presents a simple, 37Signals-inspired AJAX interface and a really simple way to manage and allocate tasks within groups. What I love about the service is its real life aspect and the amount of effort that has been put into making things easily accessible — something you’d traditionally have to poke around for can be done within a matter of seconds with TaskBin. In the end, it all comes down to some form a tool which everyone in a particular group is willing to use and accept, so give TaskBin a try!